Almost 8 in 10 prescriptions filled in the U.S. are for generic drugs. Generic drugs are chemically identical to branded drugs and must meet the same strict standards in order to receive approval from the Food and Drug Administration (FDA). Lower Price Does Not Mean Lower Quality. Generic drugs cost substantially less than brand name drugs because the manufacturer isn’t required to repeat costly animal and clinical research on ingredients or dosage forms that are already FDA approved for safety and effectiveness. Generic applicants are not required to repeat the extensive clinical trials that have already been used in the development of the original, brand-name drug since the safety and efficacy of the brand product has already been well established in clinical testing and many years of patient use. Instead, the generic applicant must scientifically demonstrate that its product performs in the same manner (bioequivalent) as the FDA-approved brand drug. Generics may differ in shape, size or color, but they contain the same active ingredients as the brand. Because the generic is medically equivalent, it can be substituted for the brand product. Generic medicines offer the same safety profiles as brand products. 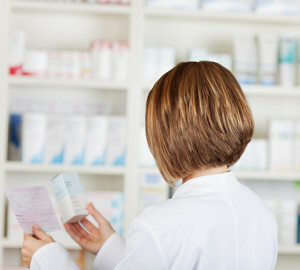 During the development and production processes, generics are required to follow the same rigorous standards of quality, safety and efficacy as brand products and these standards are closely monitored and enforced by the Food and Drug Administration (FDA) prior to and post product approval. Production plants are regularly inspected to ensure that they are cGMP (current Good Manufacturing Practice) compliant and marketed products are regularly monitored to ensure continuous quality standards.